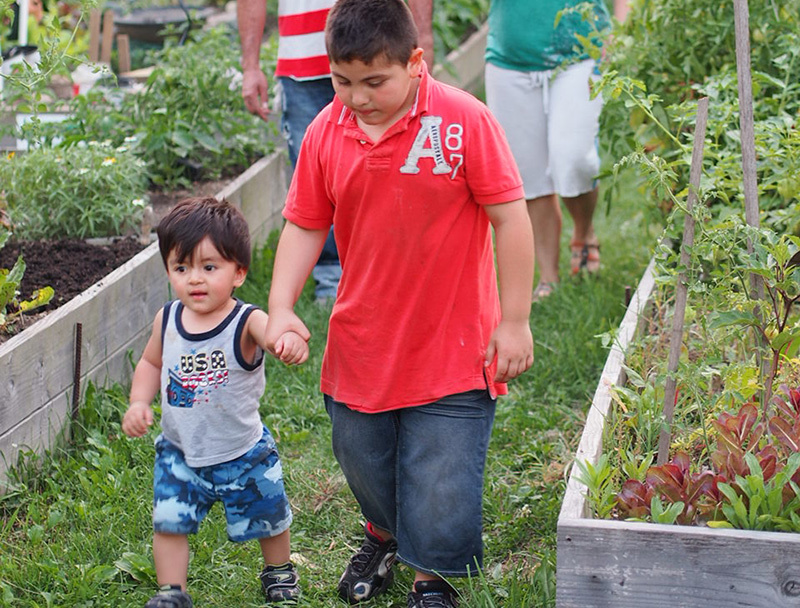 In 2009, several Morristown gardeners founded the nonprofit Grow It Green Morristown (GIGM) and created a community garden on a small vacant lot. The garden quickly attracted a diverse, multi-generational group of gardeners and became a vibrant community green space. In addition to offering garden plots, GIGM hosts regular public events at the garden including potluck meals, live music, beekeeping classes, and children's programs. But the property was located in the town's redevelopment district and had been slated for a multi-story residential building. When gardeners and local officials discussed the idea of purchasing the land for conversion into a public garden, local residents rallied and showed their support with letters and testimonials. In June 2013, The Trust for Public Land helped the town of Morristown purchase the garden, which will is now managed by GIGM. They added a colorful public seating area and continue to spice up the space with creative landscape designs and adornments. Future enhancements will include a rain garden and a walking path connecting the garden to St. Margaret's Church. Read about Early Street in the Fall 2014 digital edition of Land&People.